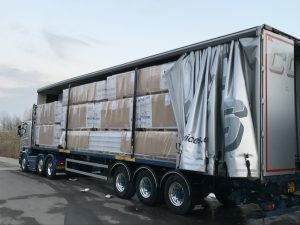 Our up-to-date fleet runs all over the country with our curtainsiders and flat trailers. We have experience in moving ambient goods from suppliers to RDCs as well as the more awkward jobs which require moffetts which we supply. If you have just one load or are looking for a regular haulier please get in touch. We have tall trailers which can take 3m internal or a slightly lower Euroliner. 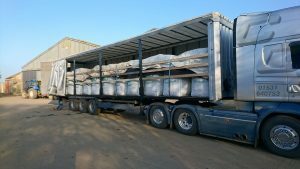 The flat bed is used for steel, bricks, peat all with or without moffetts. We can match the suitable trailer to the load.